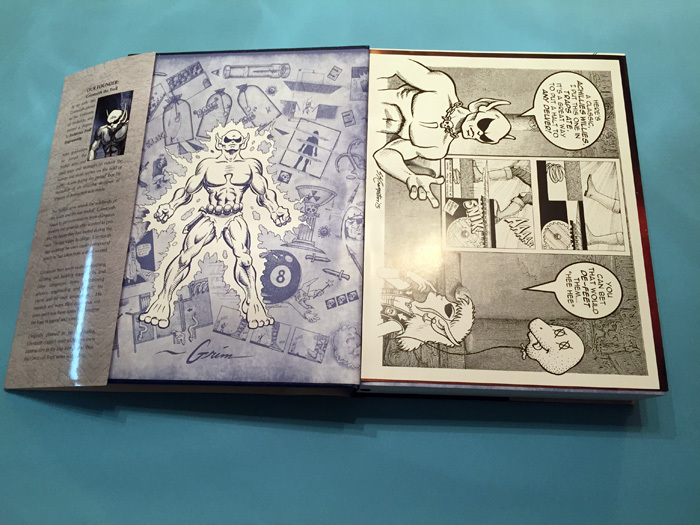 Includes 160 Extra Pages and Custom Slipcase! 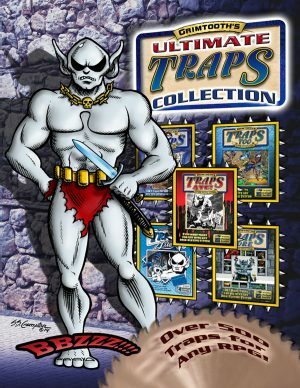 Produced in cooperation with Flying Buffalo, Grimtooth’s Ultimate Traps Collection contains exact reprints of all five Grimtooth’s Traps books. The basic hardcover has 460 pages. 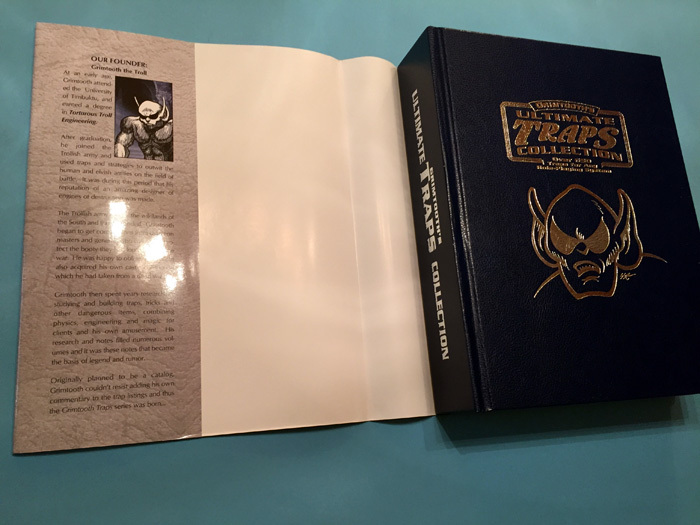 This special-edition slipcase edition contains the expanded gold foil hardcover, inside a custom slipcover, plus a piece of original art and a signature page! 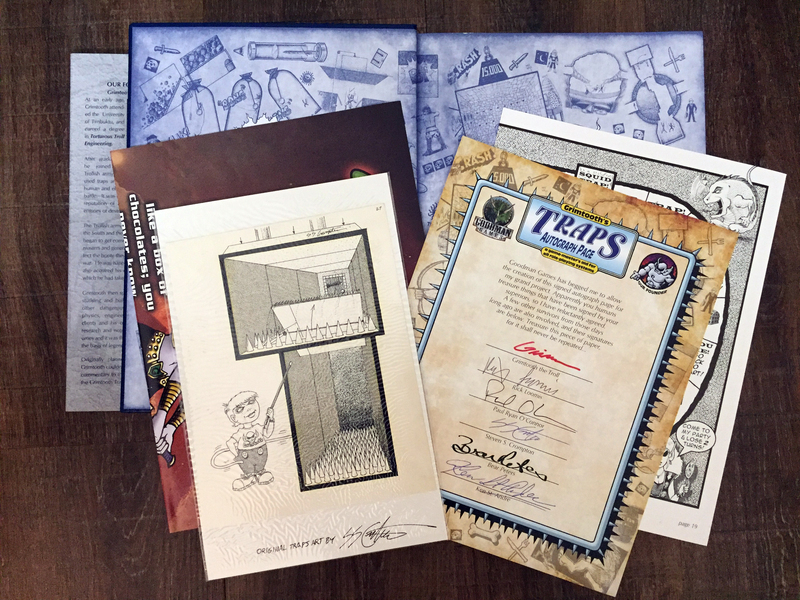 The original art is one of the actual illustrations used in the original Grimtooth’s series by Flying Buffalo, and the signature page contains autographs by all the original contributors! These special additions are available only in this edition! 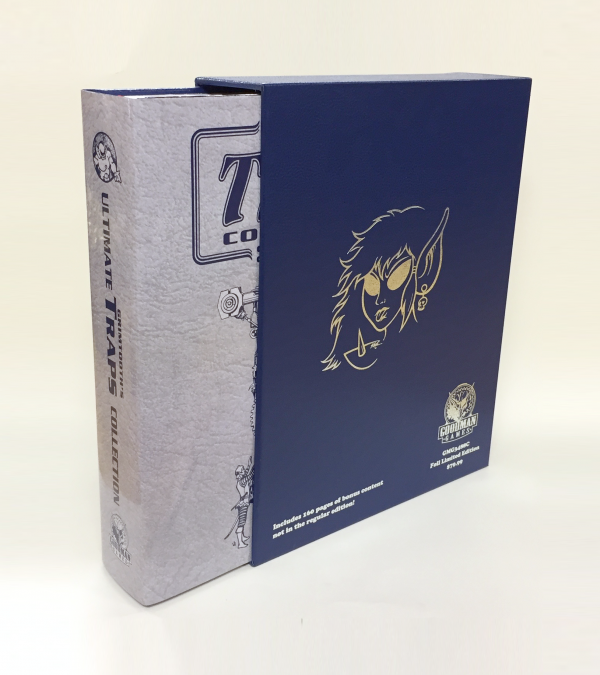 The gold foil hardcover contains an additional 160 pages for a total of 620 pages of Grimtooth’s goodness! 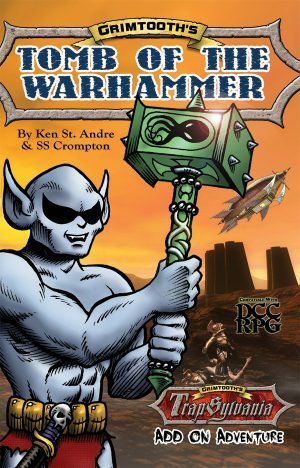 This massive tome has everything that’s in the hardcover edition, plus an additional 160 pages reprinting Traps Bazaar and The Dungeon of Doom. 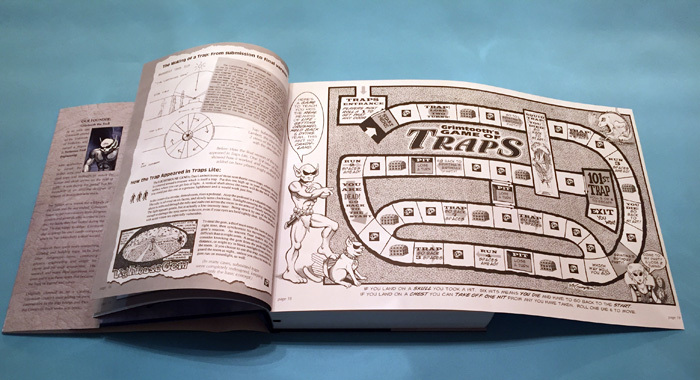 The book details more than 500 traps in a systems-neutral format, suitable for any fantasy RPG. They are presented in their original, classic form. 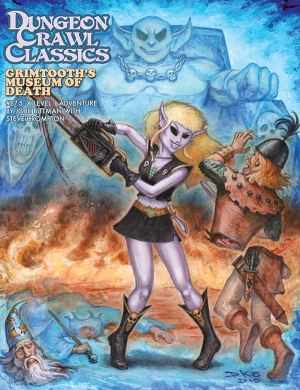 No updates, no rules revisions, no changes, and nothing to disrupt the entertaining formula that has led the Grimtooth’s line to sell more than 250,000 copies since 1981. 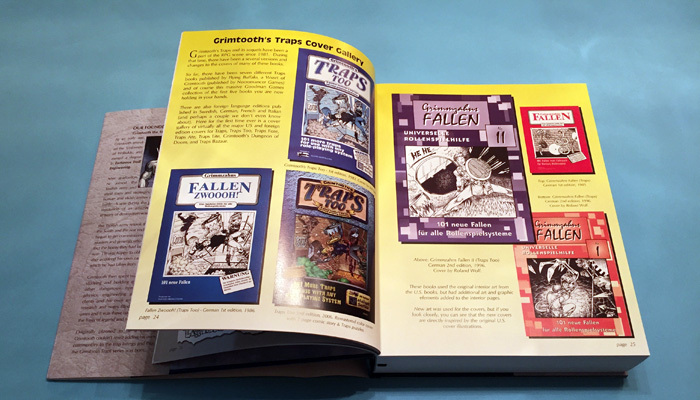 This collector’s softcover edition includes exact reproductions of the works Grimtooth’s Traps, Grimtooth’s Traps Too, Grimtooth’s Traps Fore, Grimtooth’s Traps Ate, and Grimtooth’s Traps Lite, plus Traps Bazaar and The Dungeon of Doom. All are compiled for the first time ever in a single edition. In addition, it is an homage to an important piece of gaming history. 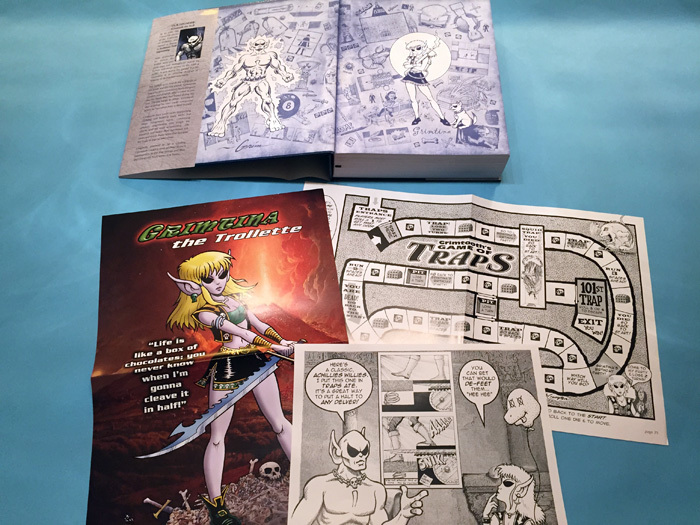 Featuring a foreword by noted dungeon designer Harley Stroh, the book also includes an extensive interview with the original Grimtooth’s creative team, a cover gallery showcasing 30 years of editions (in both English and many foreign languages), and a look behind the submissions process – including the legendary “Grimtooth’s Submissions Box” that sits on a shelf in the Flying Buffalo offices. 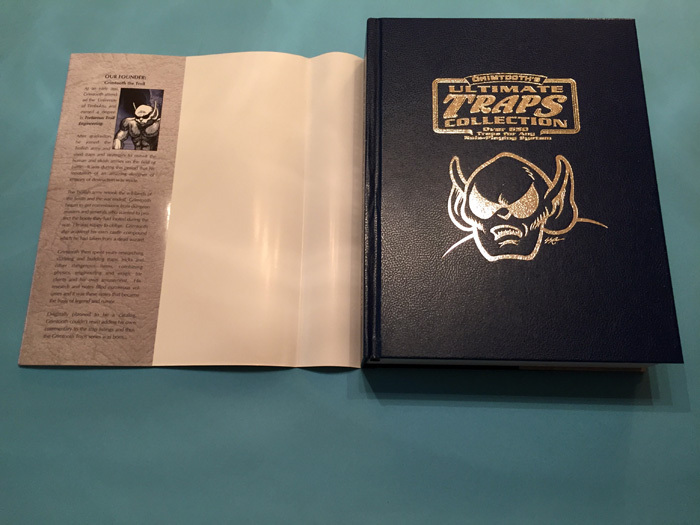 Finally, we’ve added more than a dozen new traps created specifically for this volume. For the first time in a decade, the Grimtooth’s submissions box has been opened again, and more great entries have been selected! Read more information on this project on our Grimtooth’s product page.